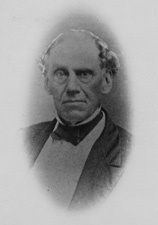 Jones, Houston G. Bedford Brown: States Rights Unionist. Carrollton: West Georgia College, 1955. ___. Bedford Brown: States Rights Unionist. North Carolina Historical Review 32 (July 1955): 321-45; (October 1955): 483-511. Walton, Brian G. Elections to the United States Senate in North Carolina, 1835-1861. North Carolina Historical Review 53 (April 1976): 168-92.